The Israeli author Etgar Keret’s short stories don’t describe reality as much as they render it suspect. They are seldom predictable and at his best he surprises the reader, not with a twist, the cheapest of devices, but a brief digression from the real into a longing whose desires can never quite be fulfilled. At the same time he never looses sight of modern life with its quotidian fast food shops and dead end jobs, and illustrates it with a spare writing style that is short on introspection but whose reality is unfixed and open to question. The brevity and the unexpected never make his stories seem extreme. Instead, there is a naturalness to the incidents he describes, an almost jaded quality, as if that same tired response to mass produced culture that surrounds everyone, especially his characters, has so removed our ability to really see the extraordinary. It is the tension between the ordinary and the strange that make his stories intriguing and reflect a world that has become trapped in its seemingly orderly word. The story that best illustrates the longing that never quite comes true is Hole in the Wall. A young guy, Uri, is told if he screams a wish into a hole in a wall where an ATM machine had been the wish would come true. He doesn’t believe it and there is a sense that wishes are pointless. Nevertheless, he wishes that an angel would keep him company. One does show up, but he turns out not to be much of a friend. The angel always disappears when Uri needs him, refuses to show his wings, and never wants to fly, afraid someone will see him. Finally, one day the angel and Uri are on the roof of his apartment and he has the impulse to push the angel of the edge of the building to see if he’ll fly. But he doesn’t and falls to his death. Uri notes, “he wasn’t even an angel, just a liar with wings.” The death of the angel upends not only the definition of an angel, it is the frustration of a cultural longing, and in his description of the angel as a different kind of humanity, he extends the cultural fatigue of loneliness in modern life to that of its salves, religion. Screaming for a wish in a hole where an ATM machine had been creates a sense of desperation where economic conditions have slipped and instead of having access to money, the real power to grant wishes, one has to scream for something that is never going to come. Extending the screams into Jewish tradition he a plays on the Wailing Wall, but instead of finding solace in a place of ancient religion, the modern with its disposable infrastructure is the best one can do. It makes for a desperate moment because Uri is left alone again and his searches have ended in futility, leaving him in the same world where the old cultural longings are just as disappointing as the modern commercial ones, and each as transient as the other. Following the Hole in the Wall in style and theme is his short novella Kneller’s Happy Campers where he constructs and after life that is neither heaven nor hell, but just the same modern city the deceased used to inhabit. It might seem like a form of hell because all the inhabitants of the place are suicides, but if it is hell, it is only the hell of boredom and repetition that comes with a regular job and the ever present need to entertain oneself after, even if there isn’t much to do except to go to the same bars night after night and hope you’ll find someone to date. His vision of the modern hell that is everyday life is one where one feels dull, perhaps anxiety ridden, but nothing is too extreme and the battle for people is to find a way to navigate that. Unfortunately, for the characters in the the story it has lead to suicide. But suicide is not an escape, but a return to that search and the characters continue it, driving to some unknown destination trying to find what they had lost before they committed suicide. Eventually, they get to a strange place where miracles happen but only if they don’t have any meaning and a man called Kneller runs a camp ground where the Messiah King J is planing to perform a great miracle. J is part Messiah and cult leader and the people follow him hopping for the next revelation. He lives in a great mansion with a pool, squash court, and a buffet pool side. It appears that hell has now become heaven, but again Keret flips the story and the heaven is not as it seems. As in Hole n the Wall, the longing is left unsatisfied and the mysteries wrapped in religion are never answered, but left as just another thing to buy, to engage with temporally. And Miracles, though existing, are nothing more than entertainments devoid of power. Yet the longing and sometimes melancholy in the characters should not deter one from finding the humor in Keret’s work. He does not write like some of those Central European authors who are so weighed down by the past that even the happiest of times seems miserable. At their most fundamental the stories are funny and full of surprise. And in a story like Breaking the Bank the humor shifts from the black to sympathetic when a boy undermines his dad’s lesson and is unable to destroy the piggy bank that was supposed to teach him value. Keret keeps his humor at a sympathetic level, never satire, and so the stories, even when they go against the character’s longing, don’t make fun, but laugh at the attempts that failed, that could happen to any one. Keret also writes stories that don’t have fantastical elements, yet these, too, exhibit anxiety and longing. Although, they are not as surprising, it strips the layers to get at his most fundamental elements of his stories. The Flying Santinis is simple enough: a boy wants to join a circus and with the encouragement of his father (this is still Keret after all) he asks the trapeze artist if he can join. He says sure, as long as you can touch your toes, which the boy tries to do, but manages to herniate his disk. The trapeze artist, overcome by the pain and the eagerness of the boy, tells him in the hospital, you could have bent your knees, I wouldn’t have said anything. It is a moment of tenderness, a realization that even when you try your hardest you may not get quite what you want—its just one of those things. Yet Keret is able to infuse a nostalgic longing in the story that deadness the disaster and turns it, along with the trapeze man’s tears it feels as if he almost made it and that was pretty close. Further reducing the pain, is the distance of the narrator, who reports the story like the boy, yet is an adult at the same time. It blurs the line between memory and the present and as in many of his stories, the narrator may no longer be a child, but those inconsistencies children see in the adult world, become a strange reality that adults are shocked by. Illustrating this best is Shoes, one of several stories that use children and young people to show the way that Israelis look at issues like the Holocaust and the way the young, without a framework of understanding, can interpret what is around them. Shoes begins on Holocaust Memorial Day when a group of students are taken to the Museum of Volhynia Jewry where the narrator, an young boy who is excited by the honor of going to the museum and not its weighty meaning, listens to a Holocaust survivor tell the students that the Germans are evil and he will never forgive them and they still make their products from the bodies of Jews. It is a horrifying image, but the boys can’t grasp it. For them it is just part of a field trip. They can only discuss whether the man with his now frail body could have really strangled a camp guard. The boys are unable to see him as a younger man who might have done that, although, the reader may also question,too, if a weekend prisoner would really have the strength to strangle. A few weeks latter the boy is given a pair of shoes from Germany and he thinks about what the old man has said and he feels guilty. 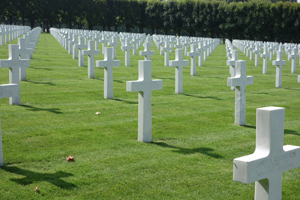 He imagines they are made from his grandfather who had died in the Holocaust. But then he goes to a soccer game and little by little he forgets. After the game, though, he remembers and for a moment feels bad, but then the shoes feel good and he thinks his grandfather must be pleased, even talking to the shoes as if they could hear. It is a risky moment that works because Keret is able to not make fun of the Holocaust, but suggest the solemn honor paid to it can be confusing and in turn make it lose its meaning. How do children interpret the meaning of it when overlaid is the fun of going to the museum? One has the sense that though the Holocaust is in no way similar to commercial culture, the repetition leads to a fatigue that inures one to its power. It is picks up on the feeling in Keret’s other stories. Yet it isn’t dark story, but one where the boy attempts to make his own meaning and, again, this is what often happens with the characters in his stories. The slight readjustment of reality doesn’t disparage the larger world, but allows the character to find a way of integrating parts of it within himself. 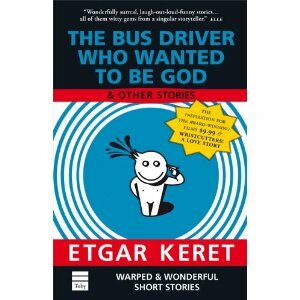 The stories of Etgar Keret are both funny and melancholic, a way of readjusting modern reality and turning its loggings upside down. In doing that Keret doesn’t wallow in despair, but constructs something new, something that lets one find a new way to experience modern commercial culture. The ability to that makes his stories a great pleasure to read and think about.